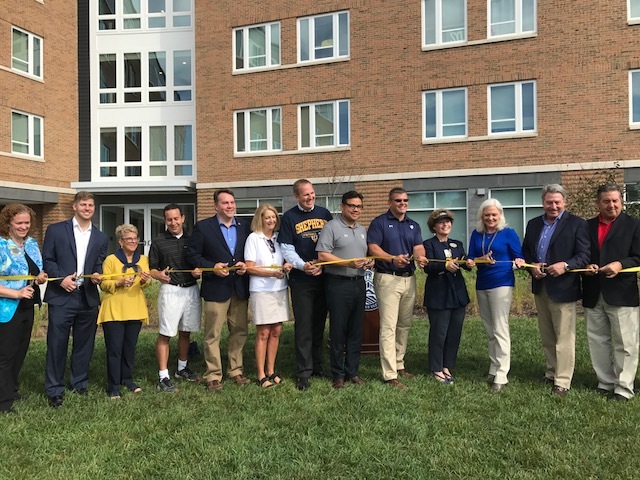 Ribbon-Cutting Marks Official Opening of Shepherd University’s New Residence Hall – Information and thought leadership on this dynamic market! Shepherd University in West Virginia marked the official opening of its new Potomac Place Residence Hall with a ribbon-cutting ceremony on a beautiful fall Saturday morning. The 80,000 square foot facility has just under 300 beds, and also features a classroom, student lounges, study rooms and Internet/wi-fi capabilities. The Shepherd University Foundation Supporting Organization (SUFSO) owns the building, while the university provides the management services. Click here to read the full article from the local newspaper, and here to learn more about developer EdR’s role in the project.